In an October issue of PLOS Pathogens, first author Jennifer Gaddy, Ph.D., corresponding author Holly Algood, Ph.D., and colleagues recently demonstrate a role of the host protein calprotectin – a metal-sequestering protein produced by neutrophils – in modulating the H. pylori cag secretion system. Using cultured cells, they demonstrated that calprotectin represses H. pylori secretion of CagA by binding and sequestering zinc. 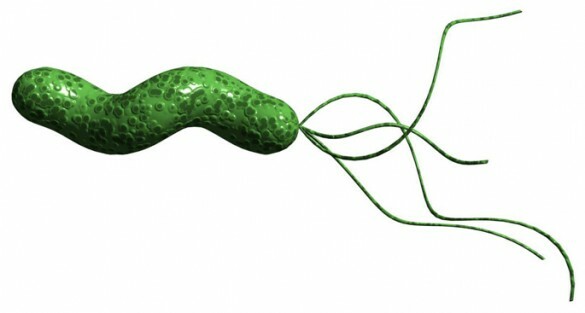 They found that mice missing calprotectin have more gastric inflammation after infection with H. pylori containing the cag secretion system, compared to control mice. No differences were observed in mice infected with strains of H. pylori that lack the secretion system. These findings demonstrate that zinc and the host’s immune response play a role in modulating the H. pylori cag secretion system and could help us develop novel antimicrobial therapeutic strategies targeting secretory processes in H. pylori. This research was supported by grants from the Department of Veterans Affairs and from the National Institutes of Health (AI039657, AI068009, DK058587, CA077955, CA116087, AI101171).